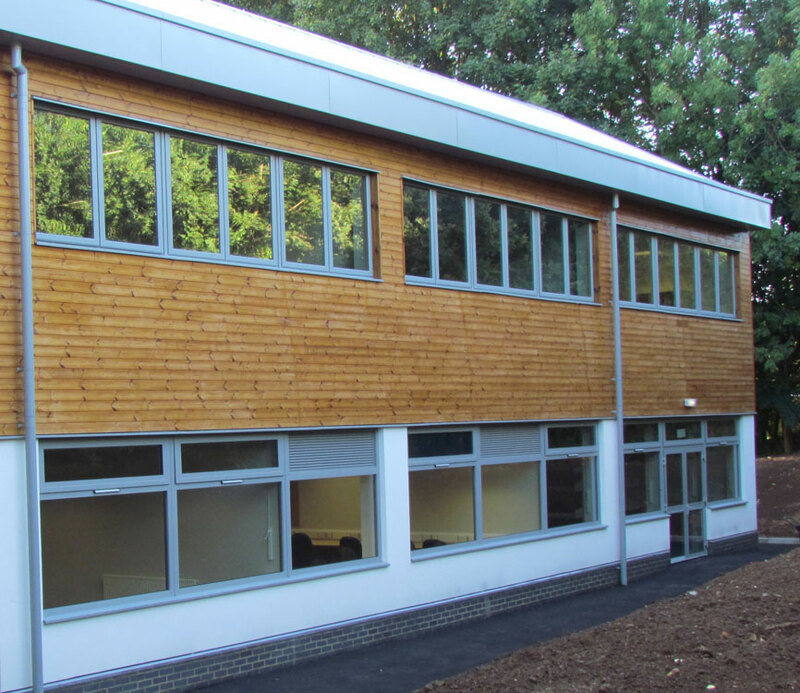 New buildings at the IES Breckland free school in Brandon, Suffolk, have benefitted from the exceptional thermal performance of Knauf Marmorit’s Warm Wall Energy external wall insulation system (EWI). The system also contributed to essential speed of construction and provided cost benefits against competitive solutions. The second phase of major extensions to the 300+ pupil school were designed by Pick Everard and built by Willmott Dixon, who were appointed through the national Scape framework. It encompasses a new two-storey communications block with six classrooms, an ITC suite and library; an extended main entrance and a covered walkway which links the main building with an existing teaching annex. With a relatively short timescale of just nine months on-site, a lightweight steel framed construction was chosen with a combination of Knauf’s EWI rendered system and timber cladding to provide an attractive, weatherproof external appearance. High levels of thermal performance were required to achieve the target U-value of 0.17 W/m2K and this was achieved by Knauf’s multi-layered Warm Wall Energy system incorporating 100mm of expanded polystyrene insulation with a tongued and grooved feature that eliminates cold bridging between joints. To create a subtly textured, water-repellent, vapour permeable finish, the contractors chose Knauf’s Conni-S silicone-based through-coloured render in white, from the hundreds of options in the company’s Color Concept range. IES Breckland is one of the first free schools with backing from outside the UK and is being run by Swedish education company, Internationella Engelska Skolan (IES), which has 19 schools in Sweden. The school’s premises are owned by SABRES Educational Trust. 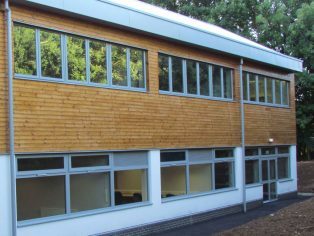 Knauf Marmorit’s Warm Wall Energy system features on new buildings at IES Breckland School in Suffolk.